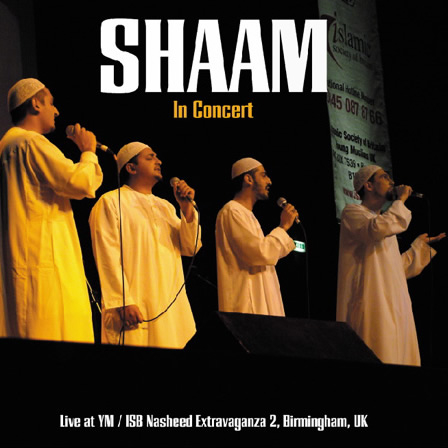 SHAAM performing in front of nearly 3000 in their hometown of Birmingham at the Aston Event Centre on Saturday 6th December 2003, as part of the sell-out nationwide YM/ISB Nasheed Extravaganza 2 Concerts. A great atmosphere & performance is captured well on this CD. Features live renditions of favourites such as ‘Mercy like the Rain’, ‘Jashne Aamede Rasool’ and ‘SallAllahu a’la Muhammad’ (2 versions!) plus a medley of some of their spiritual Arabic songs like ‘Jood Alayna’ (Released June 2004).